I am delighted to share my family’s wonderful news, my daughter Macy has been accepted into the prestigious The School of American Ballet at Lincoln Center. 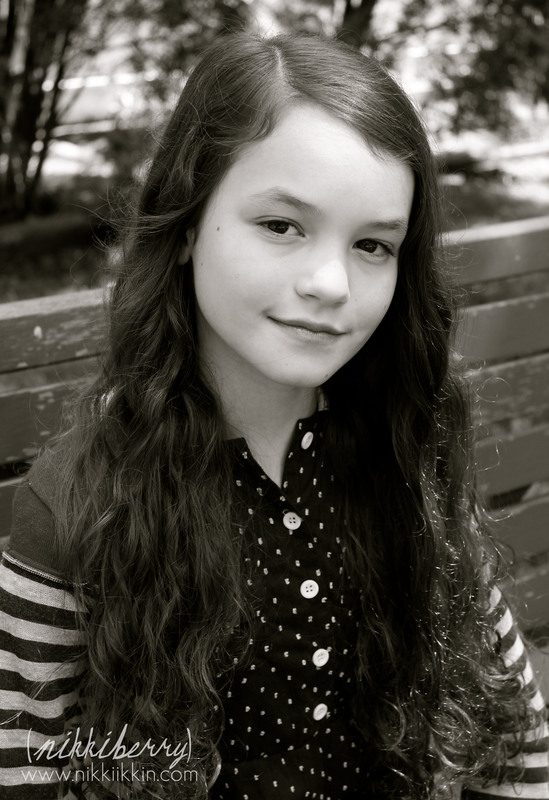 Macy has always loved to dance and enjoyed a few years with Joffrey Ballet School when SAB auditions fell into our lap. We weren’t looking for change but after learning more about the school felt that the classical technique that they offer is more of the style that Macy enjoys. She has been placed in level III at SAB and is excited that she is one level below learning Pointe, her biggest goal. 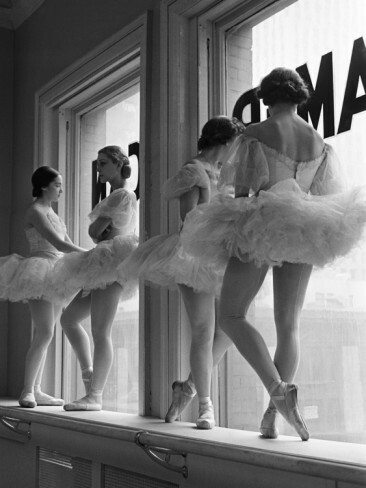 Alfred Eisenstaedt dancers at George Balanchines School of American Ballet lined up at barre during training. 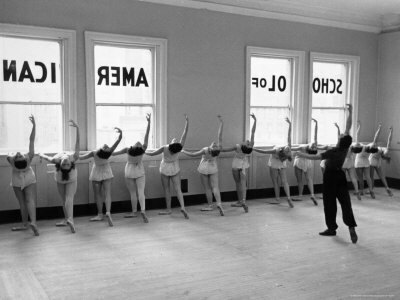 “The School of American Ballet, the official training academy of the New York City Ballet was established in 1934 by legendary choreographer George Balanchine and philanthropist Lincoln Kirstein” “Many SAB students have unique opportunities to gain performing experience through the School’s affiliation with New York City Ballet. 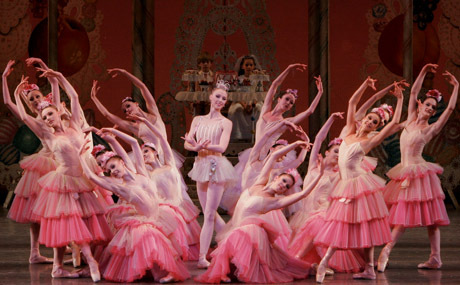 Younger students are featured in George Balanchine’s The Nutcracker, A Midsummer Night’s Dream and Coppelia, among other ballets” – http://www.SAB.org While learning about the school we found an amazing 16 minute video. We think it gives an excellent overview and inside look at what SAB is about from auditions to alternative high school education. As we learn about the opportunities that a path with SAB can bring, Macy becomes more interested in becoming the best dancer she can be. 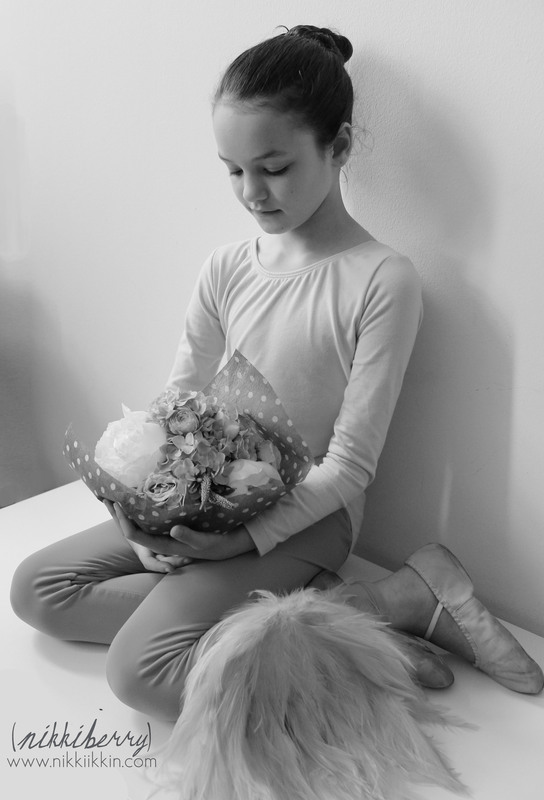 Everyday she is stretching, dancing and studying ballet terms to stay in shape this summer. She starts classes in September for a 90 minute class 4 times a week. We will sorely miss our trips to Joffrey Ballet in the West Village but I am excited to explore more of the UWS. Hudson and I will be spending a lot of time there while Macy is dancing her heart out! At least 5 years ago Macy cut this image of the Waltz of the Flowers out of the NY Times, we laminated it and it has hung around her room since then. 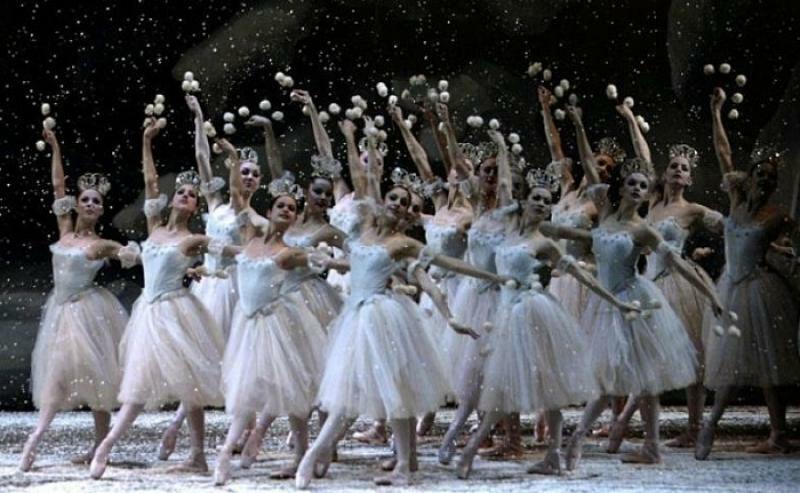 We look forward to seeing more ballets this year and maybe one day Macy’s dream of being that Dewdrop in the middle will come true.